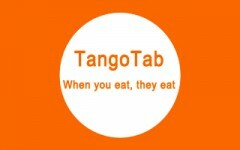 Thank you to David Timothy aka The SoupMan from the SoupMobile for his continued support of TangoTab. We are very thankful to have met him and his team and we are here to support the SoupMobile in their action to take on the Fight Against Hunger. VIRAL VIDEO: What’s A GMO?